1 13"x11" Happy New Years celebratory poster board. 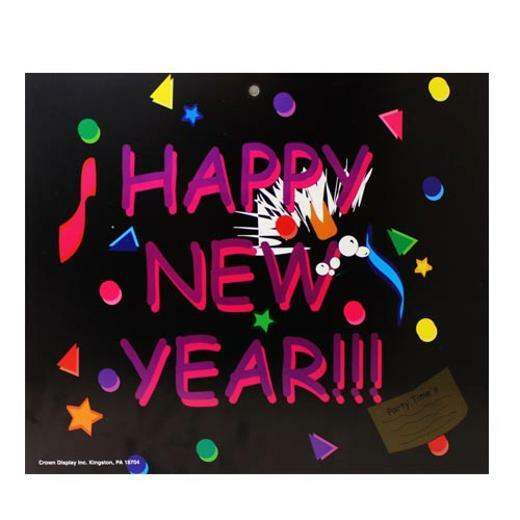 Each New Year poster board features colorful geometric shapes on a black background and the worlds HAPPY NEW YEAR!!. Poster design is printed on both sides of a heavy card stock board, one side glossy and one matte. Easy to hang and reusable this colorful poster will bring merriment to all who see it.